Yesterday's VBS program, with 200+ kids! La Finca Vista Hermosa in Agua Dulce, our home for the previous 3 nights. 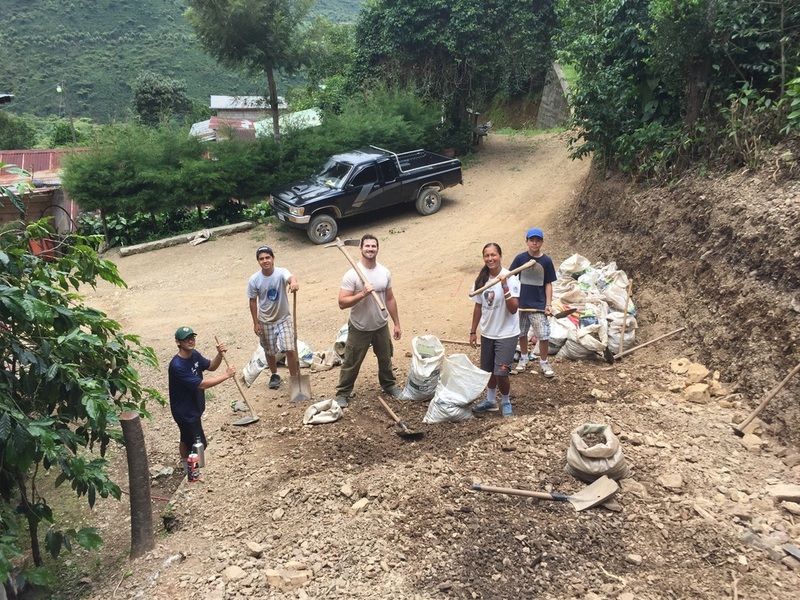 The team spent two mornings on the farm shuttling ALOT of dirt to several places along the mountain road that were in need of extra support. Perfect way to end each night. Debrief and prayer time around the fire. A wild shot from tonight's youth rally in the city of San Lorenzo. Jesse had fun connecting with these local boys.